I woke up around 7 am on May 19th to the sound of rain on the roof of Embudo. A thought ran through my mind: oh no I hope it doesn’t rain all day. As most of you may know, May 19th was the date of our May work day. A quick glance at the weather app on my phone and found out it was going to rain pretty much all day. That wasn’t going to stop us! We had 54 people from Holt, Mason, North Kent, a group of 7 summer staff from the past 6 years, and a few others from here and there. We got the cabins clean, raking done, the volleyball court spruced up, the shop organized, and the damaged shore dock removed; all while in the rain. 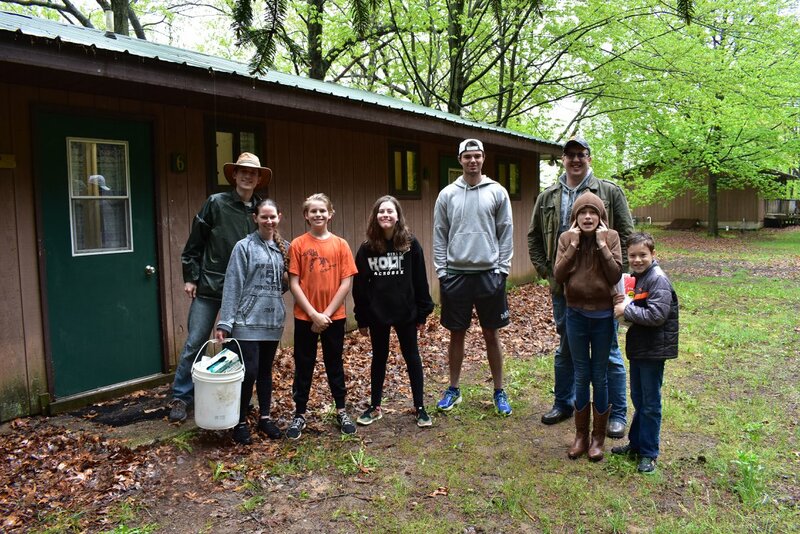 Back on our April work day we had 24 people who helped rake leaves, clean cabins, and even spackle some walls that were in need of some repairs. Nothing can stop the Greenwood Spirit. Thank you to all those who showed up for our work weekends, and to all those who have continued their prayers for this place. Camp Greenwood cannot exist without our alumni and supporters. We are a family connected through Christ, and the experiences that have happened here, whether that be back in 1955 or present day. So what’s next; where do we go from here? Camp Greenwood has been in a state of transition for many years, and because of that it hasn’t been able to thrive the way we all know it can and will do again. Before we get there, we have to mend, repair, fix not only the campgrounds, but those relationships that have been broken or strained. But everyone knows “it takes years to build trust, but only a second to break it.” Repairing the grounds is the easy part, all that takes is a little money. Rebuilding the trust takes time. I hope that I have started down the path of trust with these letters and the church visits. Getting out into the congregations, I have learned so much and have started building relationships. I plan to continue building the trust through our summer camp program this summer. I vow that it will be an amazing summer camp program filled with fun, wacky, life changing experiences and all of it done through the Love of God. What else does Greenwood need? Campers. We need campers registered! We are currently at ¼ the number of campers that we had last year. If you know of anyone who has a child aged 5 – 17 and they need a fun, God filled experience, please share our information with them. If you have a child that age please sign them up. I know that summers are getting as busy as the school year, with more and more kids getting involved in more and more activities, but do not forget what Camp Greenwood has done to change your life. Give us the chance to allow life changing events to happen in your child’s life, or neighbor child’s life, or the life of the kid in the cart next to you at the grocery store. Donations. If you don’t have campers to send, please provide camperships! Lastly, if you know of anyone who is male, 18 years or older, and looking for an exciting, wacky, fun-filled summer job, please reach out to us. We had a full staff, and then had a few of our male staff members drop out due to other obligations. 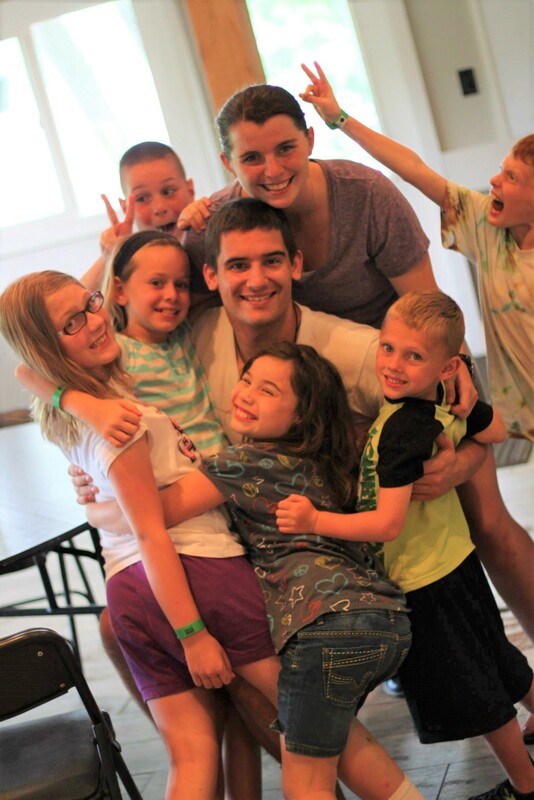 We need to have another male counselor in order to provide for all those extra campers you are about to send our way! Thank you for your continued support and prayers. We pray you are able in some way: prayer, volunteering, monetary donation, or camper sign ups, to continue our relationship and keep Camp Greenwood touching lives for Christ through a fantastic summer experience.